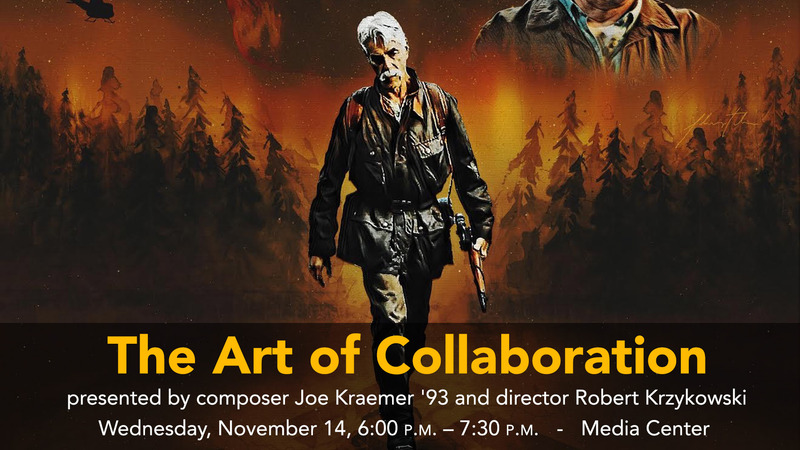 Learn how to collaborate with a director, featuring Berklee Film Scoring alum, Joe Kraemer '93. He returns to his alma mater with director Robert Krzykowski to discuss their collaboration on the new film, The Man who Killed Hitler and then the Bigfoot. Joe Kraemer is a wildly successful Los Angeles-based composer who has scored short films, documentaries, and feature films such as Mission Impossible—Rogue Nation and Jack Reacher, both starring Tom Cruise. Robert D. Krzykowski is a Massachusetts filmmaker. The Man Who Killed Hitler and then The Bigfoot is his feature film debut in collaboration with mentors John Sayles, Douglas Trumbull, and Lucky McKee. It has been called “an absolute American classic” by Alan Simmons of Live For Film, and “a wise, odd, and unforgettable ballad” by Nick Allen of RogerEbert.com. This is a rare opportunity to hear a professional composer and director discuss the inner-workings of their collaborations and working relationship in person.